Manufacturer & Supplier of Aerating Jet & Cascade Nozzle. Our product range also comprises of Water Fountains, Raindance Water Systems and Garden Fountains. 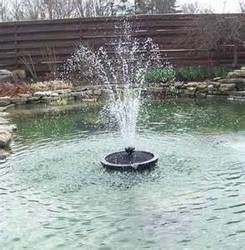 Being one of the renowned names in the market, we have come up with a qualitative range of Floating Fountains Aerator. It has a set of jets that make the springing water have the form of a dandelion. Looking for Aerating Jet ?